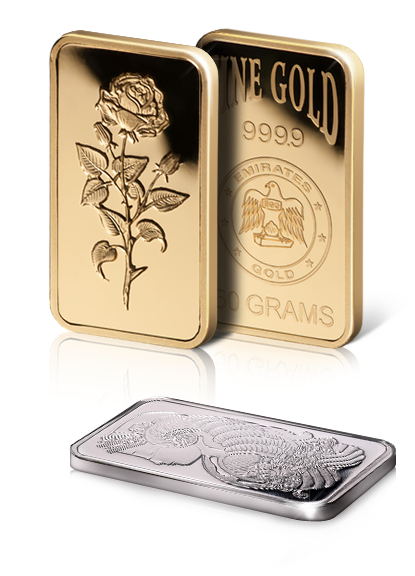 We also sell a wide range of both minted and cast Gold and Silver Bullion bars and coins. We only sell the purest and most prestigious items from the world's highest quality refineries including Valcambi, Umicore, PAMP and Emirates Gold. Gold is one of the most high value and secure investments you can make. 10 tola bars in stock. A large range of bullion bars from 1 gram to 1 kg always in stock, including 1 oz Platinum bars. So if you are looking to make a secure investment, or pick up a unique and rare item to add to your collection, Kuber Jewellery can provide you with the most unique, beautiful and high quality bullion and coins in the world.